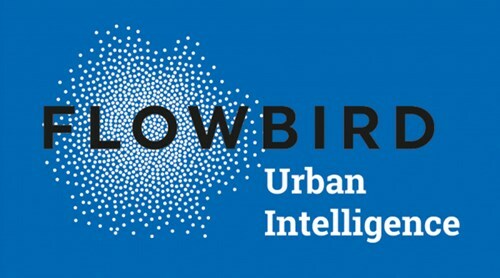 Flowbird Group, a global supplier of urban mobility solutions, has partnered with the City of Biddeford, Maine, to launch a new pay-by-plate parking system to manage its parking demand and long-term economic structure. Parking in Biddeford has historically been free both on and off-street, and a recent analysis of downtown parking by city staff shows that parking supply has been drastically declining over the years. Limited parking has been attributed to growth in Biddeford’s urban core, along with a change in the residential market with more renters owning cars now more than ever. In early 2018, City Council voted to develop a parking management plan. Within the plan, 2-hour time limits were placed on free parking spaces on-street in the downtown core. In the off-street lots, City Council approved the installation of 15 Flowbird CWT pay-by-plate kiosks to manage a paid parking system. Each CWT kiosk features a full color display screen and is equipped to accept payment via credit and debit cards. Customers will also be able to pay using Flowbird’s mobile app, allowing users to add more time to their transaction remotely. Drivers will be able to purchase short-term parking for $1 an hour, or even purchase monthly permits starting at $20 directly at the kiosk. By limiting more spaces to two-hour parking, the intention is that turnover rate will increase. The goal is for visitors and residents to be able to find free short-term parking on the street to run a quick errand such as grabbing coffee or lunch. Alternately, those who want to park longer than the 2 hour limit may park in one of the longer-term off-street lots using the parking kiosk. The new parking program also addresses an issue in fairness for property tax payers. Due to Biddeford’s history of free parking, all costs associated with parking have been paid for by property taxpayers. By installing Flowbird’s parking kiosks, there will be a shift for who pays for parking – from property taxpayers, to those who are actually parking. The City of Biddeford’s permit parking system for downtown parking lots will officially begin the 1st week of December with 9 CWT pay-by-plate kiosks. The remainder of the 15 kiosks will be used for summer beach parking. Currently, Flowbird supports over 40,000 parking pay stations for 600 customers throughout the US and has deployed mobile parking applications for 80 cities and universities across the country. This project allows the company to continue its rapid expansion in Maine, where cities such as Portland, Ogunquit, and Old Orchard beach utilize Flowbird systems.